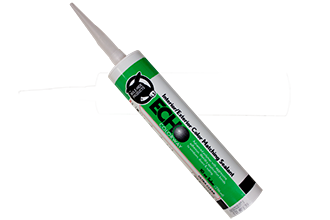 Echo Colorway is a one-component caulk with rapid moisture cure to form a durable bond. 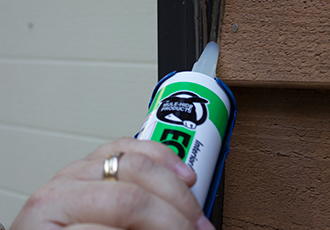 Supplies aggressive adhesion with the most common construction substrates, while ensuring complete compatibility – even with rubberized asphalt flashing and other flexible plastic building materials. 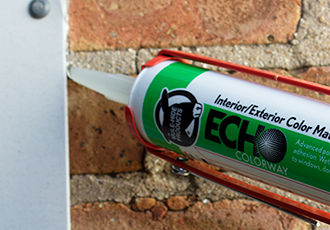 Click here to download the various colors available with Echo Colorway. 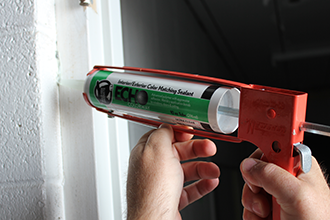 Can the sealant be painted? Echo Colorway Sealant is paintable after two hours. 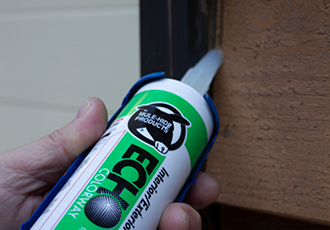 All MHP sealants have a hole in the removable tip. Prolong the possibility of viable product by sticking a common nail or a pan head screw in the hole and seal with duct tape. Do not replace the tip until ready to reuse. There is product left in the top of the removable tip. How can this material be utilized? Take a used tip and place on new cartridge. Echo Colorway is currently available in 29 standard colors. How do colors match windows or siding? Visit the Colorway page at mulehide.com to match building materials. How large of a gap/crack can be filled? The recommended maximum depth is ½”. The recommended maximum width is 1”. How long does Echo Colorway take to dry? Echo Colorway skins over in less than 20 minutes and becomes tack free in less than an hour at 77ºF with 50% relative humidity. Echo Colorway can be applied in temperatures ranging from -40ºF to 140ºF.